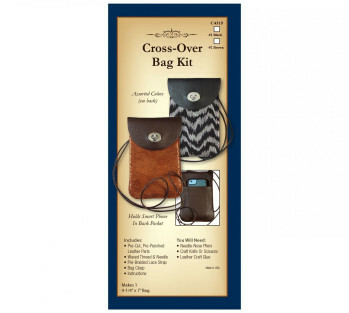 Cross your heart and protect your valuables with this compact little bag. 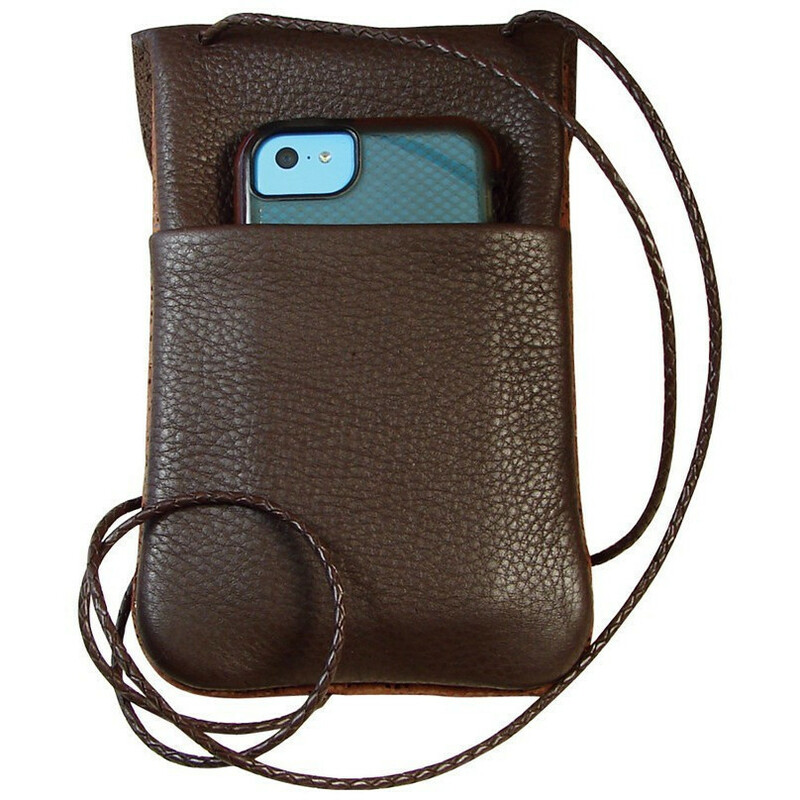 Holds a smart phone in outside pocket and a wallet inside. 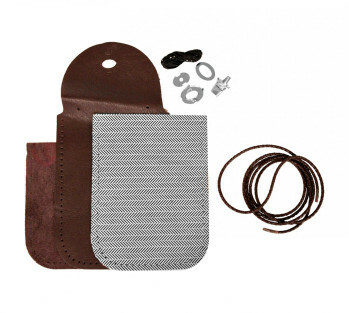 Uses our nickel Oval Turn lock Clasp for extra secure closure. Pre-punched parts, pre-braided lace strap, waxed thread, needle and assembly instructions included. 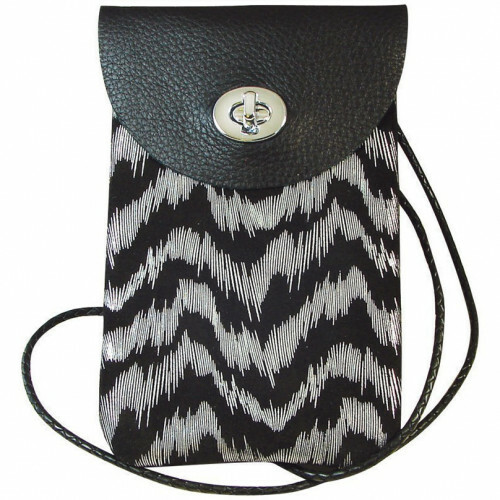 Front decorative leather will vary in design and colors. Finished size 4-1/4" x 7"